Postgres offers COPY commands for writing table data into text files (ascii or binary) and also write back from these files to postgres table. 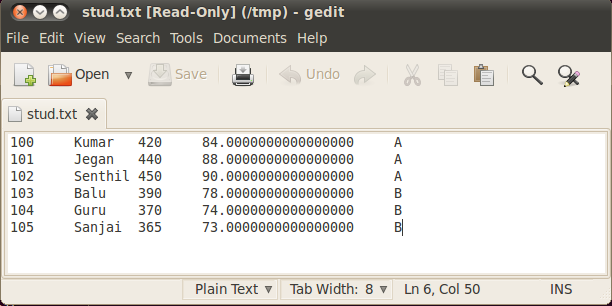 The COPY TO command is used to copy the content of a table to a standard text file. If you specify column name of a table, while using COPY TO, the specified fields only will be written to a file. COPY FROM command is used to copy the content of a file to a database table. The following command is used to copy data from table to file. The above command will copy all the fields from student table to stud.txt file. 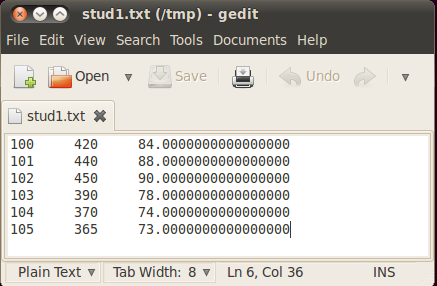 The above command will copy only specified fields from the student table to the stud.txt file and the file is saved in /tmp/ directory. The following command is used to copy data from File to Table. File Name - Specify the file name from which data will be copied to table. The above command will copy the file named stud1.txt data to the student table. 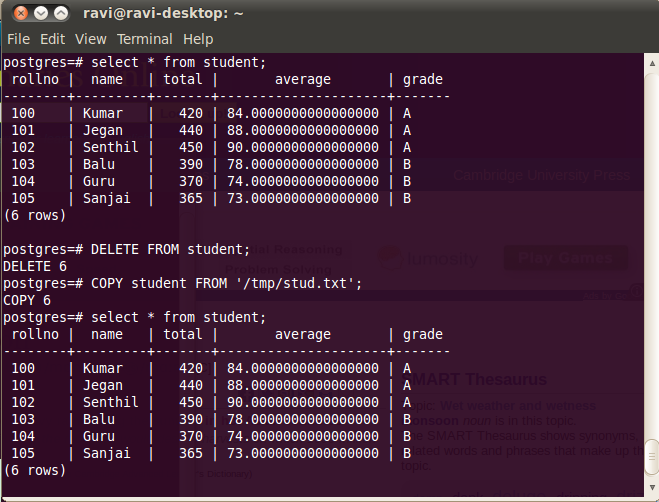 The above command will copy data from the given file to the specified fields in student table.